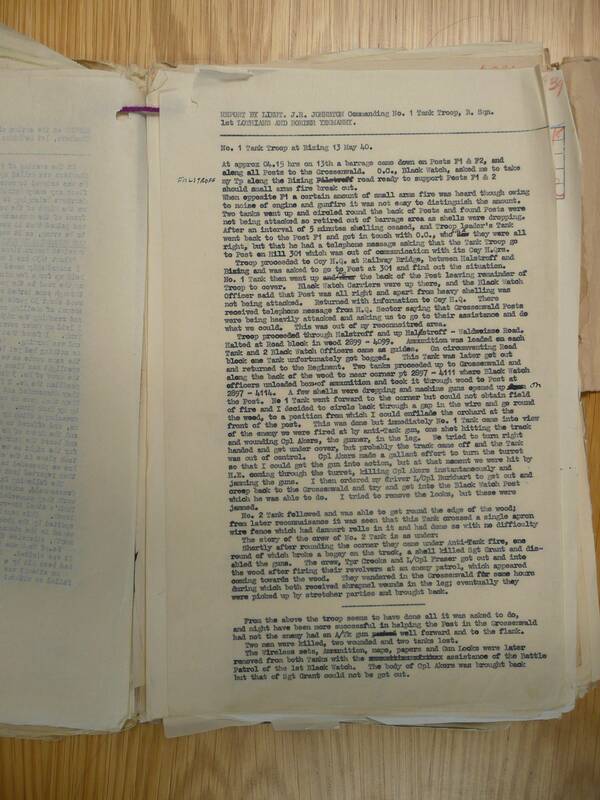 Discussion in '1940' started by AB64, Aug 28, 2012. 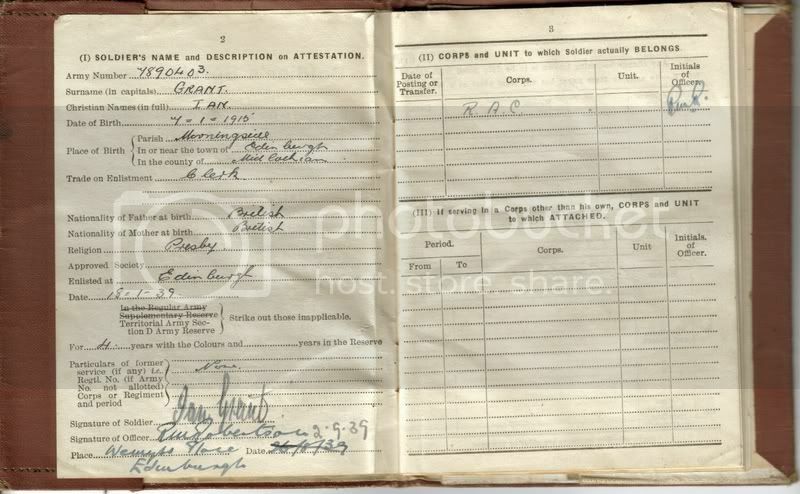 I've split this out from my main service book thread http://www.ww2talk.com/forum/ww2-militaria-collecting/37557-casualty-service-paybook-collection.html to see if I can find and more info, would he be included on the missing men file? is there one for the unit? If I recall, there is a 'missing' - i.e. 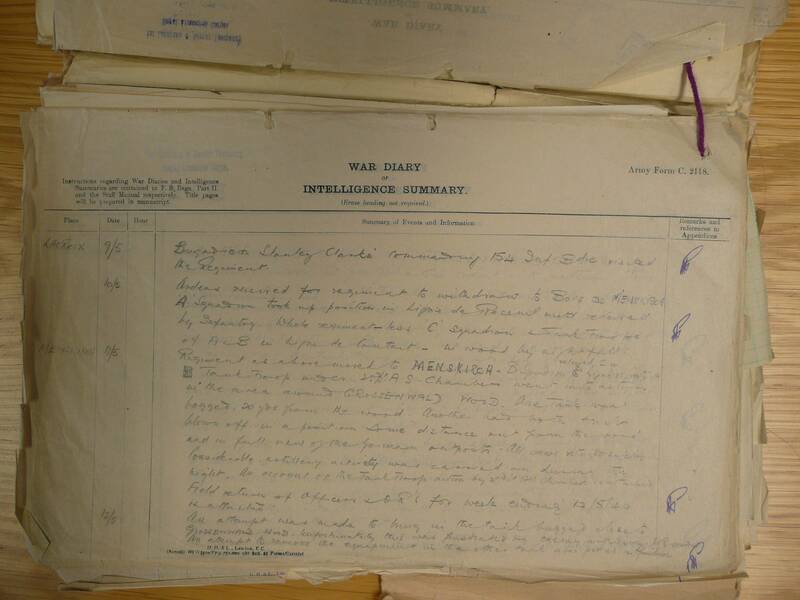 War Office Casualty dep't file, but covering the entire Royal Armoured Corps: WO361/105. 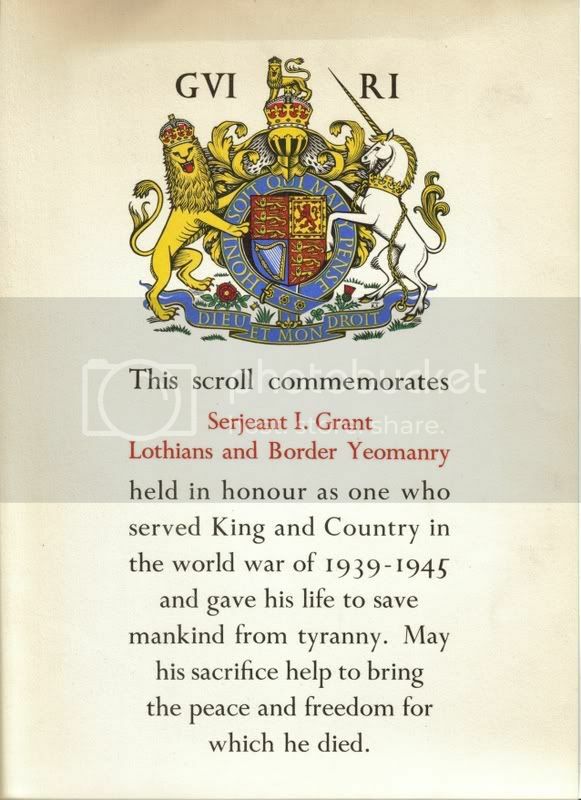 I'm sorry I can't remember exactly as I was after 10th Hussars, but I recall there were some details of the Lothian and Borders Horse. Perhaps muster/nominal rolls but I 'm sorry I can't remember specifically. I'm not down again for a while, perhaps Drew could help? 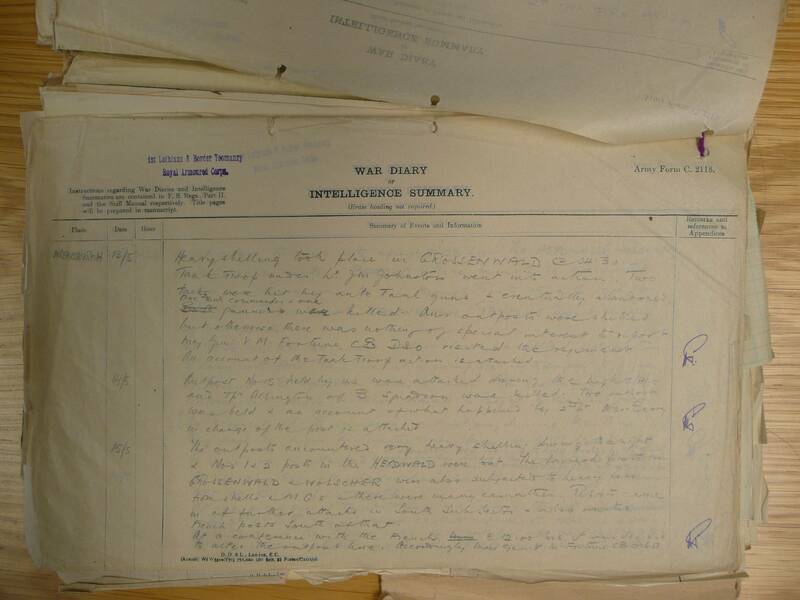 I wasnt sure if he would be covered in the file as while his body was missing, his fate was known, the War Diary mentions them being unable to get his body out, so he was checked and as such may not have been officially considered missing.. He may get a brief mention but if someone saw him killed it's unlikely. The mIssing Men files are for men that the Army doesn't know where they are ie PoW or Killed in Action so they could tell the NoK etc. I'm assuming he is the Tank Commander refered to killed by AT fire? If I'm not mistaken (Its ages since I read it) Sgt Grants death is recorded in Saul David's book about 51 Div. with the BEF. Thanks for that Drew, the incident is mentioned in a couple of books (probably others I dont have) but not in great depth. Sgt Grant was in charge of the 2nd Tank. I guessed as you say that the file was for those who there was no official trace of, so Sgt Grant woulnt likely be included, but thought it was worth asking. 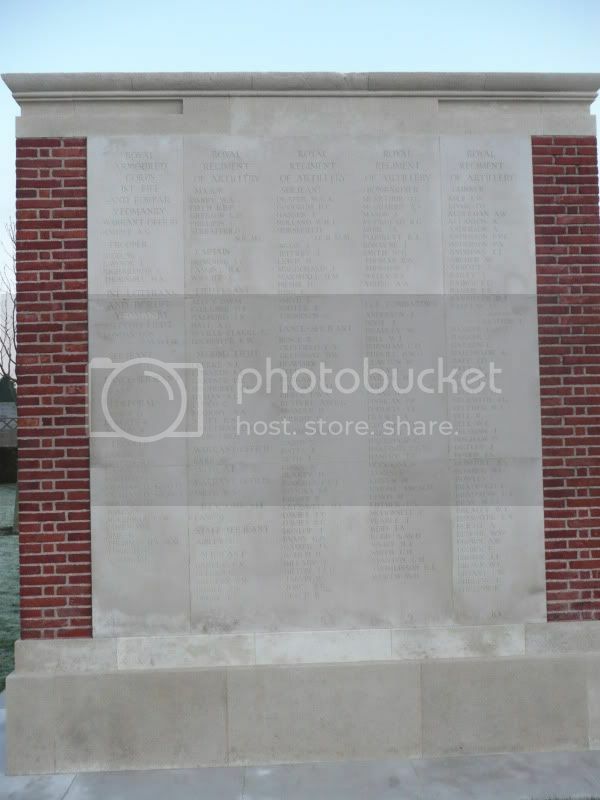 An old thread but was just having a browse through and noticed that the one piece of information that seemed to be missing was who the Germans were that the British were facing on the day Grant was killed. The image is taken from the Lage West situation map for 13th May 1940 and shows that they were up against 95.Infanterie-Division which at the time was commanded by Hans-Heinrich Sixt von Armin who would go on to be captured at Stalingrad and die in a Russian PoW Camp.